Professor Brian Cox visits NASA?? 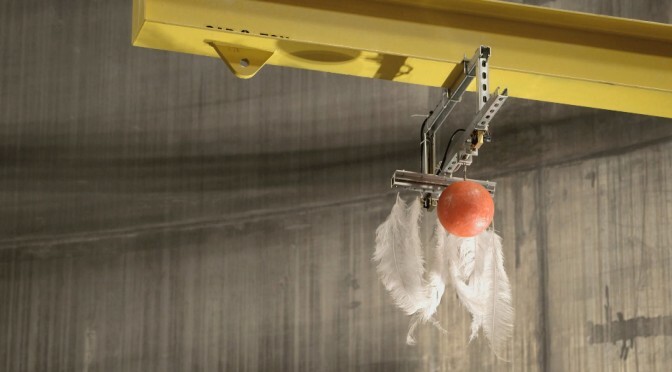 ?s Space Power Facility in Ohio to see what happens when a bowling ball and a feather are dropped together under the conditions of outer space, and explains why it happens. The bowling ball and the feather, under the conditions of outer space (vacuum) are falling exactly at the same speed… because in reality they are not falling, they are standing still, for there is no force acting on them, at all!